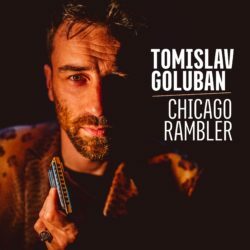 After 20 years of intense study of one of America’s greatest artforms from afar in his homeland, Croatia, singer songwriter and harmonica master, Tomislav “Little Pigeon” Goluban made a journey to the source to record an album of authentic blues music in the Windy City for his tenth studio album, “Chicago Rambler.” Goluban enlisted the skills of prominent figures in the Chicago blues scene, led by acclaimed producer and guitarist Eric Noden to collaborate with him on 11 new songs written for the project. A year ago, Tomislav flew to Chicago to record at Joy Ride Studios. Noden wisely brought in two “Sons of the Blues” as the rhythm section; E.G. McDaniel on bass and Kenny “Beedy Eyes” Smith on drums, both building prestigious careers for themselves while preserving their musical heritage. 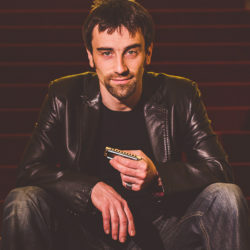 Harmonica man Joe Filisko also contributed to the project by playing harmonica on two songs, and engineer Blaise Burton manned the console for the frenetic two-day session. The full tilt ‘Pigeon Swing’ kicks off the album with much pizzazz, as Goluban blows like Little Walter resurrected on an instrumental that was supposed to be a bonus track but has so much fire it was pushed to the lead-off slot. The 12/8 blues ‘Locked Heart’ reveals the influence of Jimmy Reed and Slim Harpo on the timeless tale of a soft-hearted bluesman. The heavy-duty south side shuffle, ‘Bag Full Of Troubles,’ is a spot-on Chicago-land prototype that could only be delivered by seasoned pros. Inspired by the friendship between Goluban and the late country bluesman “Philadelphia” Jerry Ricks, the tasty rhumba, ‘Jerry Ricks On My Mind,’ recants images from the last concert he performed alongside Goluban before his untimely death in 2007. He was buried in the cemetery in Kastav (Croatia) where the annual Tribute to Jerry Ricks – Kastav Blues festival is now held. Noden’s slide guitar moans with sorrow of a hundred-year flood on the lowdown ‘Can’t Find Myself’ and Smith demonstrates his encyclopedic knowledge of authentic blues grooves as he nails the high energy boogaloo surf blues for the audacious ‘Home Made Honey’ and classic Bo Diddley beat for ‘Do The Right Thing.’ Between those two numbers, Goluban’s fantastic harmonica imitation of a train, an old-time tradition among harp players, introduces ‘One Way Ticket,’ a traveling blues ramble. He lays out a twist on a Muddy Waters’ style blues with ‘Little Pigeon’ extolling his manly prowess to arouse a lover. Track ten is an acoustic version of ‘Jerry Ricks On My Mind.’ The quartet glides thru the Jimmy Reed style country blues ‘Searchin’ For My Baby,’ before transforming a traditional Croatia folk song ‘Išel budem v kleticu (I’ll Go To My Cottage)’ into a straight-ahead Chi-town shuffle from a hot Saturday night at the Peppermint Lounge. 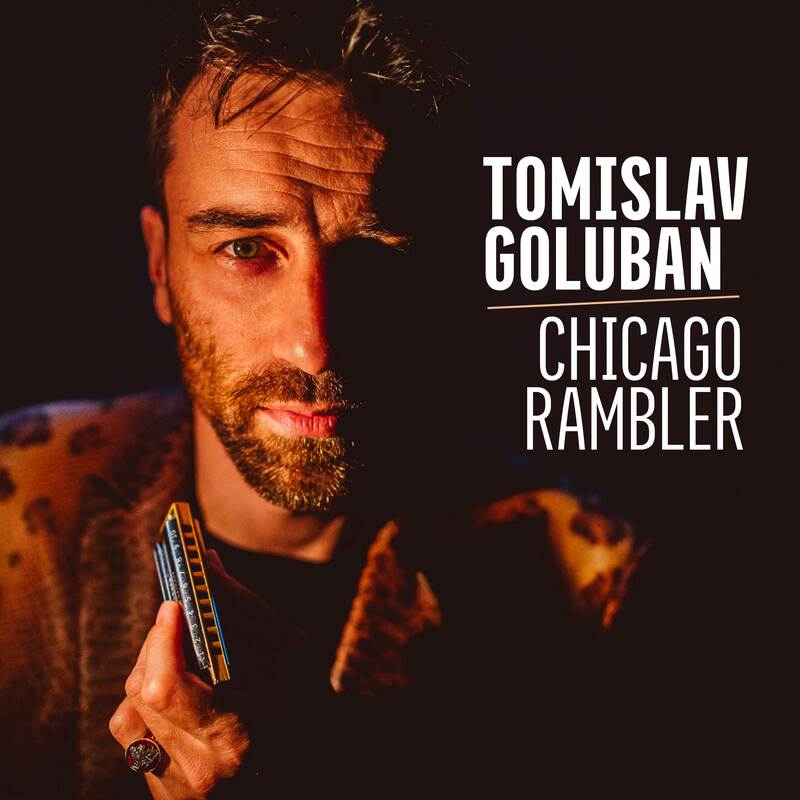 With this album Tomislav Goluban fulfills his dream of wandering the musical streets of the city that gave birth to so many of his heroes and becoming a bona fide Chicago rambler. 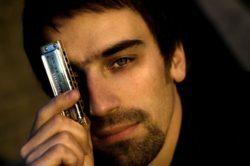 After a 20-year music career and 10 studio albums, the proverb “The older – the crazier” definitely applies to Croatian harmonica player Tomislav “Little Pigeon” Goluban, whose songs and performances burst with energy, passion, humor and above all, fantastic music. 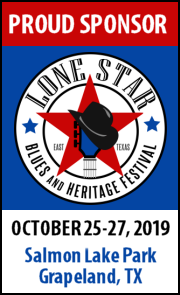 Goluban has been playing harp since 1997, inspired by old school masters such as Sonny Terry, Slim Harpo, Paul Butterfield, Gary Primich, Kim Wilson and Joe Filisko to name just a few. Performing solo/duo and with a band, Goluban has played in the U.S. and across many European countries at festivals and events such as the Notodden Blues Festival (Norway), Amal’s Blues Festival (Sweden), Blues sur Seine (France) and International Blues Challenge (USA). Looking back at his discography reveals delta, country & Chicago blues, zydeco, rock ‘n’ roll and world music. He’s been recording his music in a wide span from raw delta duo sound to the full instrumental arrangement with 20 musicians playing one song. developed an educational music program called “The harmonica in Blues” which is presented to the pupils of elementary and high schools all over Croatia.